Stalwart independent director Jim McKay’s En El Séptimo Día (On The Seventh Day) follows a group of undocumented Latino immigrants living in Sunset Park, Brooklyn over the course of one week. 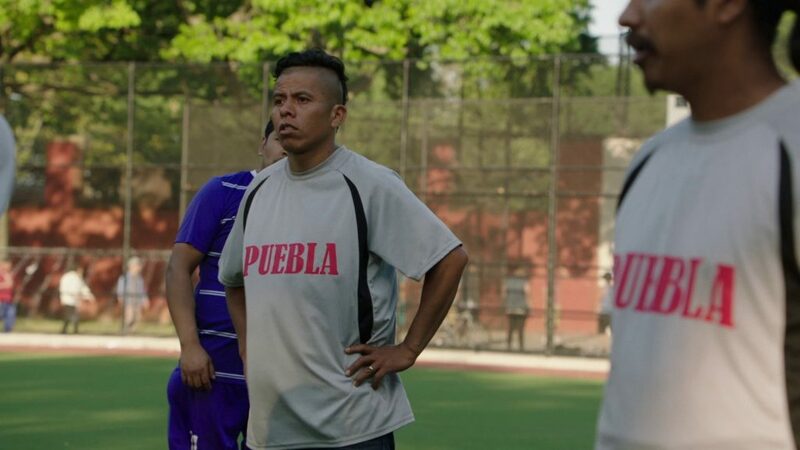 The cast of non-professionals, led by Fernando Cardona as José, work long hours six days a week as bicycle delivery men, construction workers, dishwashers, deli workers and cotton candy vendors – but their real passion is soccer. When their team makes it to the finals, team captain José is faced with a difficult choice between his job and his team. “Confident and captivating… the movie has a bone-deep humanity that transcends technique and reaches right back to Cassavetes.”— Owen Gleiberman, Variety.